Yes, the Smart Araneta Coliseum was not filled to its full capacity in one drizzling Thursday night in February, and the usual audio problems of the venue seemed endless. But the night was still that memorable. Why? Avril Lavigne's sheer talent and her pop rock journey through the years made the "Black Star Tour Live in Manila" utterly enjoyable. You can see that in the eyes of Avril's Filipino "Black Stars" or her avid fans of eight-year-olds to the early twentysomething females and their clueless companions of fathers, husbands and boyfriends. And how they shrieked and even cried with each lyric uttered in the setlist of 17 songs. 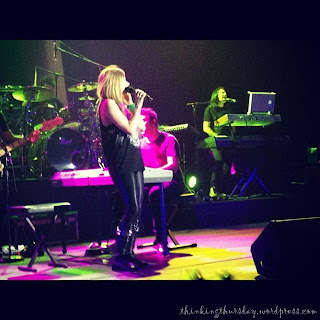 While the evening had been neutralized musically with the electronic pop-infused Somedaydream or the boy-next-door sensation Rez Toledo as the front act, Avril brought the house down with her energetic and wild renditions of her biggest hits. No, don't expect the grandiose production seen in recent months, such as Katy Perry's "California Dreams" and Kylie Minogue's "Aphrodite" tours that left audiences in awe. 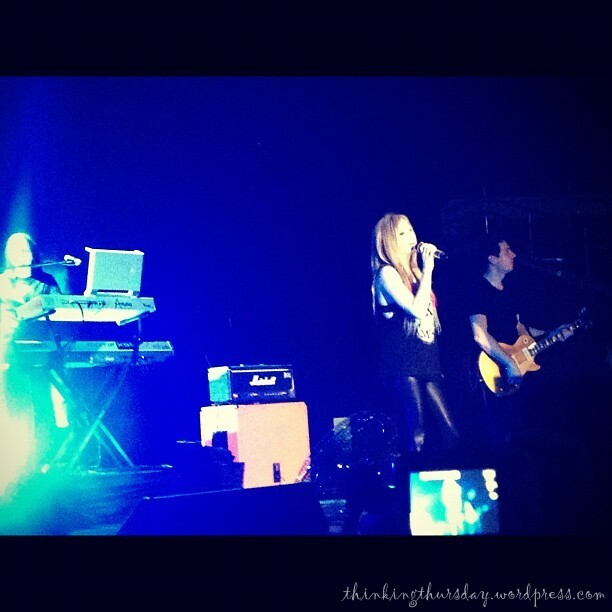 Avril's sleeveless black shirt and matching leggings and boots say it all. It was all intimate; striking Avril's discography to its core—leaving the audience to what really mattered, her music that made all her worldwide success possible. Her music is basically relatable and catchy—factors that make her otherwise heavy yet upbeat songs strike a chord among her "Black Stars." From "Black Star," "Alice" (from the hit Disney movie) and "What the Hell" from her latest album "Goodbye Lullaby" to her earlier hits "Sk8ter Boi," "He Wasn't" and "I Always Get What I Want," Avril again impressed everyone with her savvy personal songwriting. Her haunting and deep ballads "When You're Gone" and "Wish You Were Here" made the audience feel for her, as the most hurtful chapters in her life—especially that painful divorce from ex-husband and fellow musician Deryck Whibley in 2010—clearly showed in her moving renditions. These showcased what is clearly an underrated element in her success since her debut as a teen pop rocker in the early 2000s—her powerful and intense vocal prowess that was pure and riveting. In fact, her voice remained unruffled and fresh throughout the more than two-hour show. And never did the audience show exasperation. 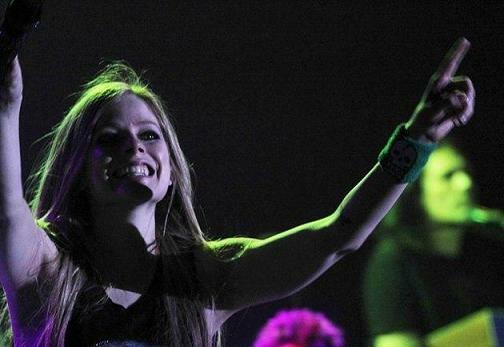 All remained excited and supporting, cheering Avril on and chanting the monster hit "Girlfriend" from her 2007 album "The Best Damn Thing," "My Happy Ending", which followed a short cover of B.o.B's "Airplanes" and "Don't Tell Me," which are all from the album "Under My Skin," Avril's second album that was released in 2004. After losing their voice singing along to "Smile" and "I Love You" again from "Goodbye Lullaby" and her earlier hits "I'm With You," the audience were in high spirits as Avril capped it all off with the song she described as her most special, her first single "Complicated," also her encore. 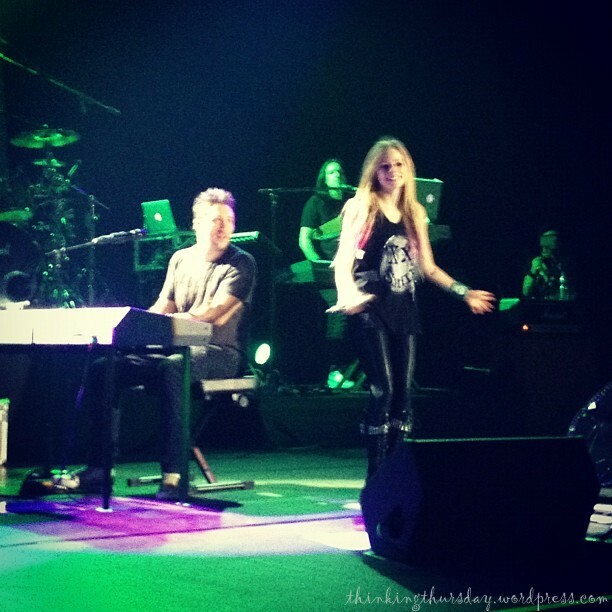 Avril singing one of the tracks from her latest album Goodbye Lullaby, “I Love You”. 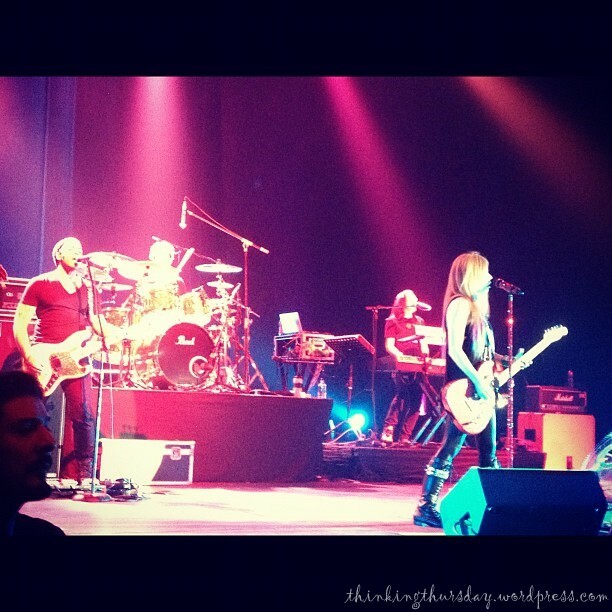 Though the average concertgoer might have wanted more in terms of production elements and creativity—like striking video to complement and present her journey as a musician, or more interaction with the audience—what we saw is simply Avril, who as singer and songwriter is more than just a show, but an artist who will never be forgotten for her craft, her music. I came across this internet web site and I need to say Iâ€™m completely overjoyed at what Iâ€™m seeing. I enjoy how you're able to genuinely feel such love and such encouragement just on the internet site alone.